At ROCOL, we’re making it even easier for manufacturing and processing teams to improve efficiency and reduce down-time across their production facilities by introducing our brand new online training. Who is the ROCOL Online Training for? 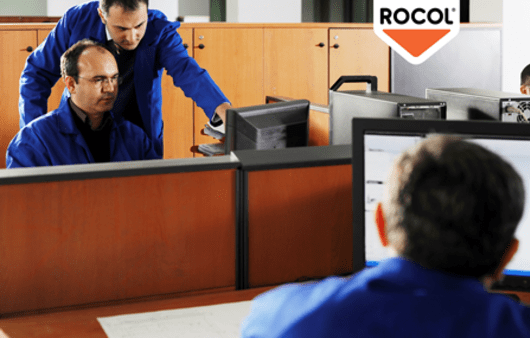 ROCOL Online Training is designed for all operators and maintenance engineers involved in equipment maintenance – whether you’re new in the role, or a seasoned engineer wanting to refresh your knowledge! What is ROCOL Online Training? Each module consists of a detailed training video and is accompanied by a short quiz. You can complete the whole course, or just one module depending on individual training needs. Once the training is completed, official certification will be sent to add to the employee’s CPD file. What are the benefits of ROCOL Online Training? Contact customer.service@rocol.com or +44 (0) 113 232 2700 to sign up or request further information.